Home / Jang / Punjab Masstransit Authority Jobs 2019 Apply Online Latest Advertisement. Punjab Masstransit Authority Jobs 2019 Apply Online Latest Advertisement. 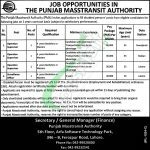 Here at this page, we’ll discuss Punjab Masstransit Authority Jobs 2019 Apply Online Latest Advertisement. Jobs in Punjab Mass Transit Authority are available and it is looking to recruit the following staff for Duty Station located in Lahore, Multan, Rawalpindi and for this purpose, it is seeking for highly educated, very experienced, hardworking and well-disciplined candidates for the following vacant positions. Jobs to apply are such as (Operation Supervisor, Surveillance Officer). Appointment of above-mentioned positions will be done on a pure contract basis as per the policy of the Government of Punjab and duration of the contract is extendable on satisfactory performance. Candidates willing to apply should possess relevant qualification and experience according to the criteria mentioned in the following image and according to the criteria candidates willing to apply should possess qualification from Bachelors or Masters and relevant experience according to the vacant position is required to apply. So, for interested candidates who fulfill all eligibilities, we provide complete how to apply procedure in the following heading. Interested candidates should apply via online at the official site of PMA or through web link given below. The last date for submission of application is February 24, 2019. Applicants would be required to bring their original documents/transcripts at the time of interview. No TA/DA will be admissible for any position. Applications received after due date and time would not be entertained. Equal opportunities for both male and female candidates are available. Last Date to Apply: February 24, 2019. 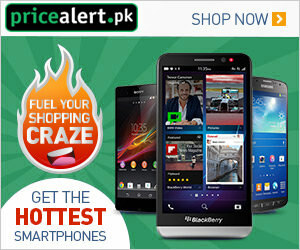 Address: The Punjab Masstransit Authority 5th Floor, Arfa Software Technology Park, 346-B, Ferozepur Road, Lahore.